Early games call for the best breakfast tailgate foods. Here are easy, make-ahead recipes, tips, and a downloadable checklist for a fun game day experience. 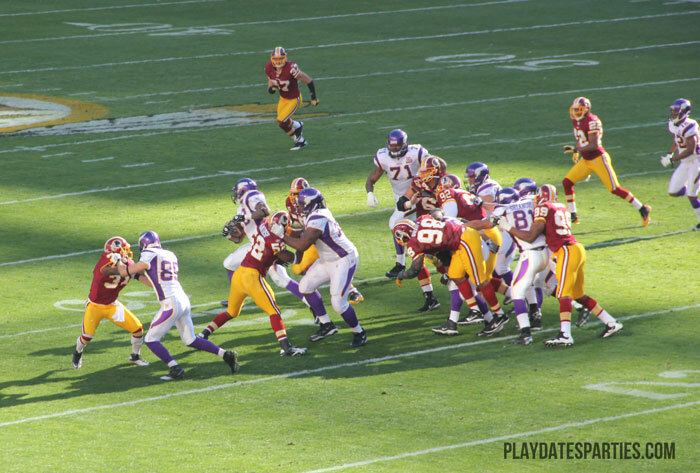 What do you do when a neighbor offers to sell you lower-level tickets to a Redskins game at a discount? If you’re our family…you move heaven and earth to buy them and get a babysitter! Even though we live closer to Baltimore these days, the Husband is a life-long Redskins fan. So there’s no way we’re going to pass up the opportunity to go to a game. Especially when the tickets are as good as these were. So we started planning a tailgate. The only thing is that it was a one o’clock game. And if you’re at all familiar with local traffic, that means you need to be at the stadium early in the morning. That’s not typically the time you want to be roasting burgers and hot dogs. So we decided instead to make some breakfast tailgate foods and to party kegs and eggs style! I learned this trick from catering so many years ago: Prepare biscuits or croissants in advance with meat and cheese, and heat them up on a sheet pan in the morning. We transported the hot food in stoneware dishes and thermal carriers. 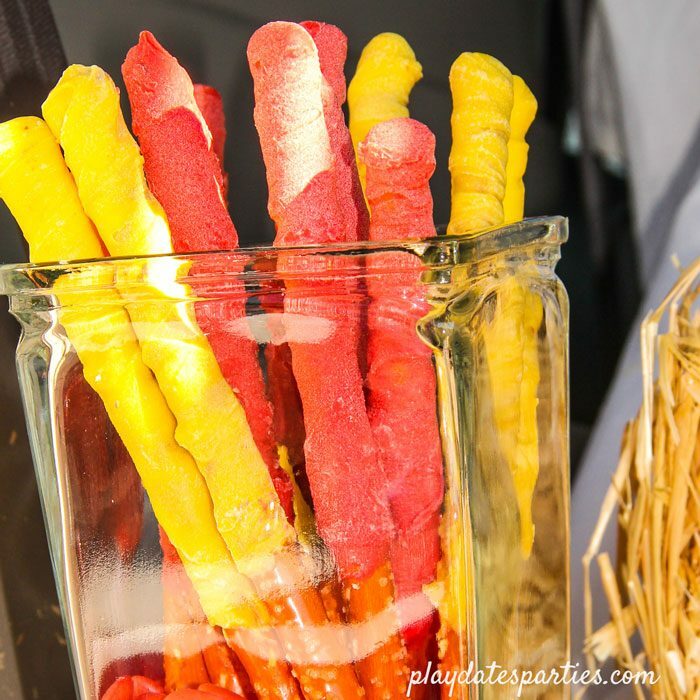 The most time-consuming snack for this entire event was the chocolate dipped pretzel sticks. I never realized how difficult it is to get a smooth finish with candy melts! Unfortunately, the red candy melts ended up looking a bit chalky. At least they tasted good! They were pretty easy to transport in a gallon-sized ziplock bag. When we arrived, I just added a bag of red beans to a glass vase and used that to hold everything upright. I made a pan of the husband’s favorite brownies (Ghiradelli) and brought a mix of BBQ and plain flavored kettle chips for extra snacking. It was all about bringing treats that are both tasty and portable. Keep the menu simple and portable. You won’t have a kitchen or trash cans available, so don’t overdo it. Prepare your food the day before and heat it up quickly in the oven on the morning of the game. Bring an old bed sheet or plastic tablecloth. Use these to drape the back of your car so spills and crumbs can be quickly cleaned up. Disposable plates and napkins are key. You can keep it fun with team colors, or keep it neutral. Rain in the forecast? Invest in an inexpensive pop-up tent to stay dry. You’ll be surprised how much you use it for other events too! Buy extra napkins or bring a roll of paper towels…or both. Bring a box of trash bags with you and set a couple up right outside your car. Encourage everyone to use them while you party, to keep things cleaned up. Who wants to worry about cleaning up when it’s time to leave for the game? Sound like a lot to keep track of? Well, you’re covered! 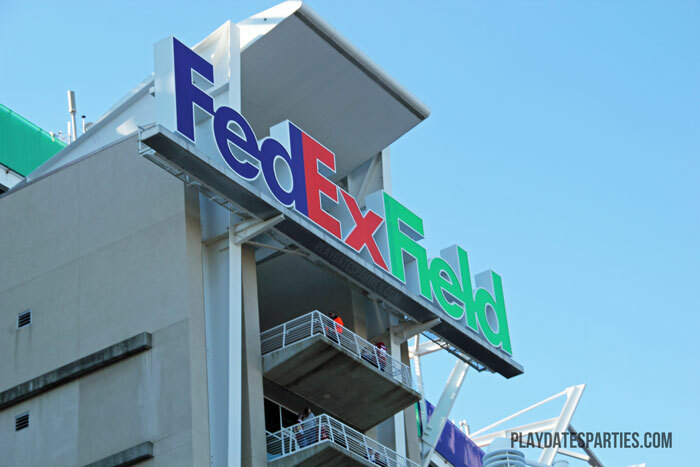 Stay organized with this downloadable Game Day Tailgating checklist. It’s in the resources library, which is an exclusive bonus for newsletter subscribers. Just sign up in the blue box to get access and download your copy today! I’m so grateful for the generosity of our neighbor. Even though our team lost miserably, it was a lot of fun to spend a few kid-free hours with my husband. And with these breakfast tailgate foods, tips, tricks and the downloadable checklist you can have as much (or more) fun as we did. Happy tailgating! What are your favorite game day tailgate foods? Who’s your favorite football team? Oh what fun!! Football tailgating, can't remember the last time I did that! ohmygosh! so much fun! 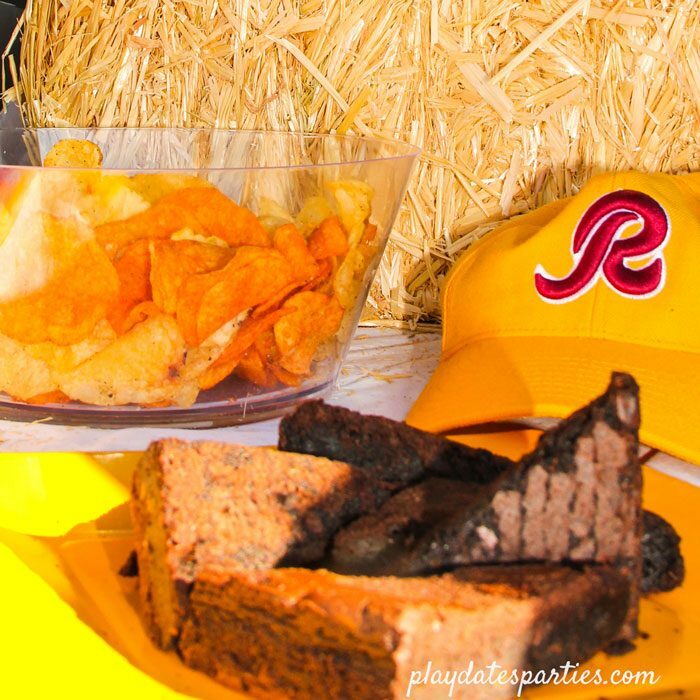 would have loved to tailgate with you guys…..
Pinning – we always go to at least one pro football game a year and tailgating is a must! Always look for fun new ideas to bring to the party! 🙂 Thanks for sharing this, found you at Snickerdoodle! Beer Brownies – oh my! 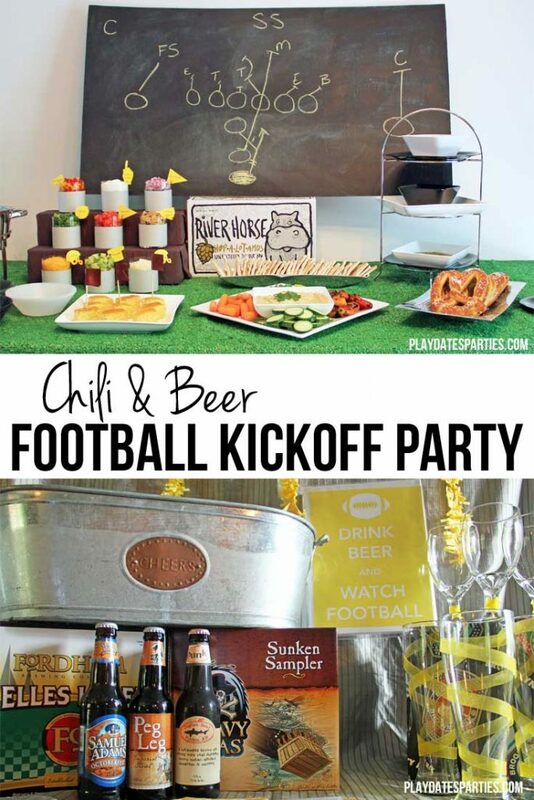 Never thought of a breakfast tailgate party. Love it! Saw this on the Project Inspired link party. Thanks for sharing. You should definitely try it sometime. Kegs and eggs aren’t only for St. Patrick’s Day. ? A breakfast/brunch tailgate is a very different idea and I love your suggestions. Thank you for sharing with us this week at Celebrate Your Story and we hope you will join us again next week. That all sounds like a lot of fun and you were well prepared. Oh, I love pretzel crusts. Thanks for sharing with us at Waste Not Wednesday. The pretzel crust makes such a difference! Thanks for hosting! I just wanted to say thank you for sharing the football tailgating with a lot of fun. I can’t wait to tailgate with my friends. Thanks so much for stopping by! I hope you have fun tailgating this year! There are some great ideas in this post! !! We lost our football team (previously the San Diego Chargers), so no tailgating for us. But I can still use these ideas !! Thank you for sharing. Visiting from Not a Trophy Wife link party! Great ideas!! Thanks for sharing with us at Fiesta Friday!! So fun! Thanks for sharing with SYC. Thanks for sharing with SYC. 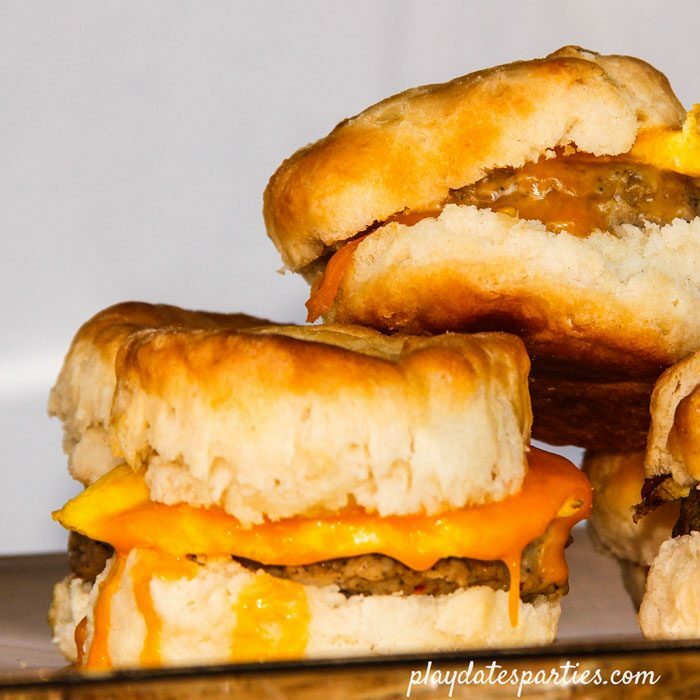 I love breakfast food, so a breakfast tailgate sounds so fun! Thanks for sharing this on MM.